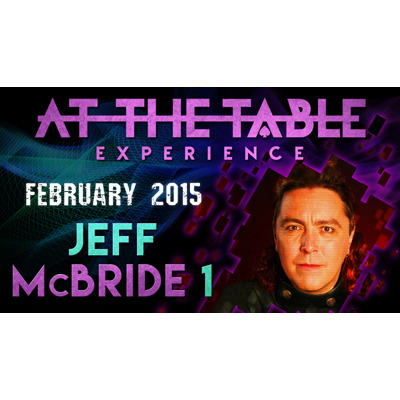 Widely regarded as one of the greatest magicians alive today, Jeff McBride has done it all. From national TV performances to world records and his own school of magic, Jeff has succeeded in every aspect of his career and is now ready to join us for not one but TWO At the Table Experiences this February! o Listen to his thoughts on the "Commando show" and you will be happy you did, this is something all of us as performers should carry around. o You will learn really awesome formulas for developing a show, expanding your show to include more material, and using your show to teach your audience about you (personal theming). I will just say In typical Mcbride Fashion, he doesn't disappoint and YOU WILL get so much out of this lecture!